Photo from beerfestival.ca they retain all copyright. It’s that time a year again – TFOB is on the way! We thought it would be a great time to post an updated survival guide on what to bring, what to do and more. This is the largest beer festival in the city and there is a TON to do. Chances are you only have a ticket for one day, so make sure you plan out what you want to do ahead of time so you don’t miss anything. We suggest making sure you include the grilling tent and other food options while there – while it’s easy to focus on all the hoppy goodness surrounding you, you don’t want to miss the chance to learn from chefs who have created the menus and dishes you love from restaurants all across Toronto! There will also be food all over the place including oysters from Oyster Boys and those amazing pies from Pie Commission. In terms of beer though, make sure to check out the Canada 150 pavillion to try craft beers from across our great land. Many of these beers are NOT available in either the Beer Store or LCBO. There will also be awesome collaboration beers and brand new ones too. 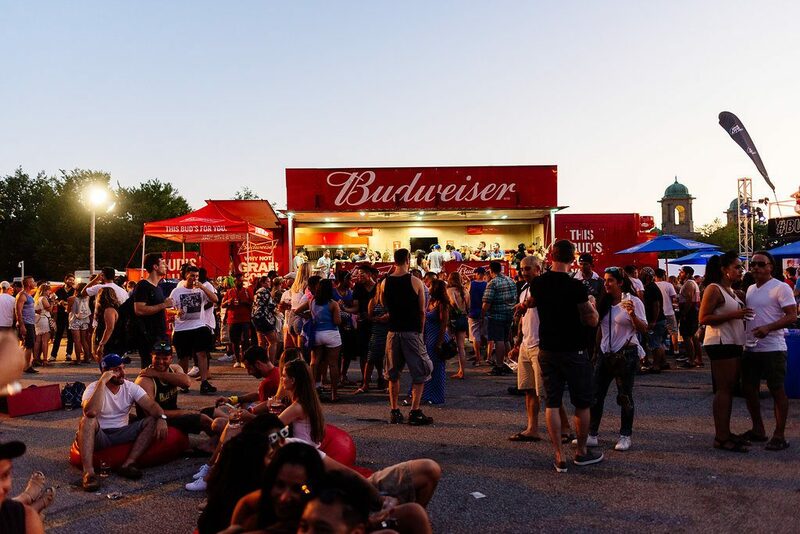 As always, we also recommend hitting up the Ontario Craft Beer tent, generally in front of the main stage, which always has a great selection of local craft beer. Our biggest tip here? Try new things. This festival gives you access to an insane amount of cool stuff to try, go for it! To start with, don’t do the opposite of the above. Eg. Stay away from the breweries whose beer you’ve had a million times. While their brand experience stuff might be fun, take some time to go try places you have never had before. Please don’t be a jerk. This includes jumping lines, spilling drinks, fighting, etc. Also, don’t litter. If you are finished with something find a garbage or recycling for it. Don’t bring kids or animals – you’ll be turned away at the door. Drive. The entire point of the event is alcohol, please take a bus, cab, uber or some other service to get home. If you are from out of town, consider getting a hotel room or AirBnB. Don’t bring a water bottle. These are banned and there will be plenty of water available at the event. If you don’t have a ticket yet, get it right now. Only Sunday is left and it’ll sell out fast! Here is a link! Overall just make sure you have a great time. See you there!